BlackBerry 8830 world phone coming to Verizon | BlackBerry Blast! Verizon Wireless and Research In Motion today introduced the first Global CDMA/GSM BlackBerry. 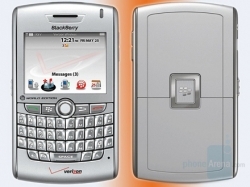 The BlackBerry 8830 World Edition smartphone will be available on May 14 through Verizon Wireless’ business sales channels and in Verizon Wireless Communications Stores on May 28. In addition, Verizon Wireless announced the May 14 availability of its new Global BlackBerry service, an “always-on, always connected” wireless e-mail solution that provides quick, easy access to e-mail, contacts, calendar, organizer and the Web while on-the-go. With the BlackBerry 8830 World Edition smartphone and Global BlackBerry service from Verizon Wireless, customers get wireless e-mail and the convenience of one local number for domestic and international use in Australia, Europe, parts of Africa, Asia, Latin America, the Middle East and North America. Verizon Wireless’ new Global BlackBerry service allows customers to place and receive voice calls from more than 150 countries and send and receive e-mails in the United States, Canada and more than 60 countries worldwide. With Global BlackBerry service, Verizon Wireless customers receive the Global Support Pack, which includes a SIM card, a user reference guide and details on accessing the Global Help Desk for 24-hour customer support, seven days a week. Customers also receive a calling card for free support calls while traveling outside of the U.S. from any landline phone to technical support if the BlackBerry 8830 is lost, broken or stolen.